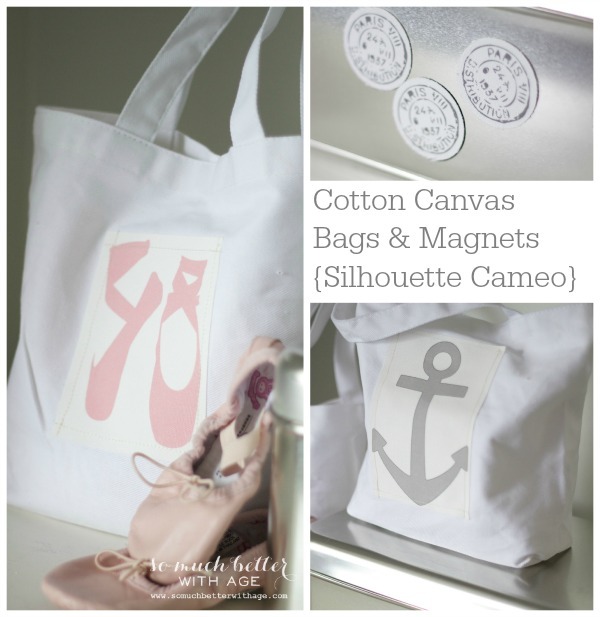 I have been dying to use the printable cotton canvas through Silhouette. 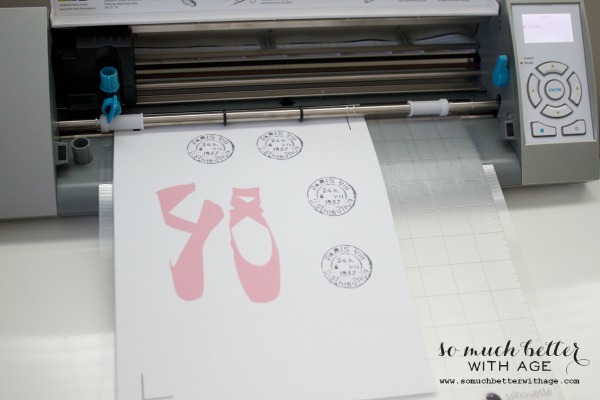 Did you know you that the Silhouette Cameo cuts fabric? So cool. I switched my regular blade to my fabric blade and got to work. Let me show you the goodies I made today! 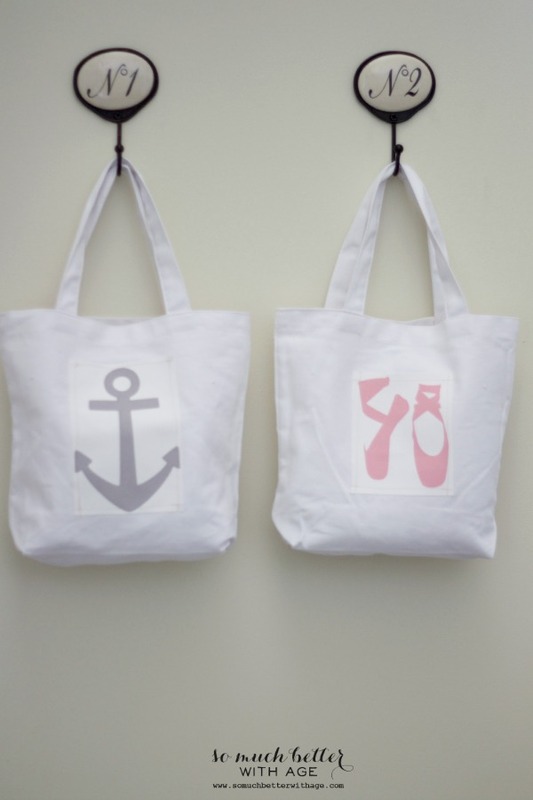 I wanted to make some bags for my kids using plain cotton canvas bags. 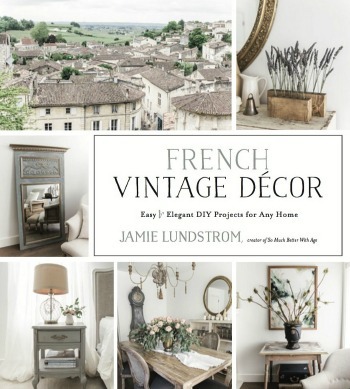 I also wanted some French magnets for my office so I thought I’d make both at the same time. Here we go! 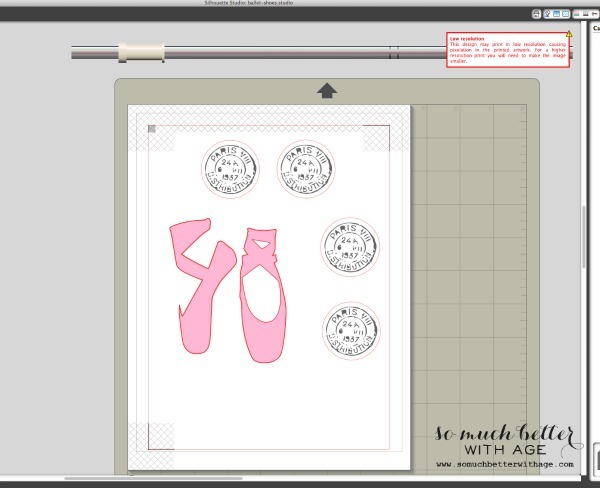 Open your Silhouette software program and pick your design through the online store or design your own. 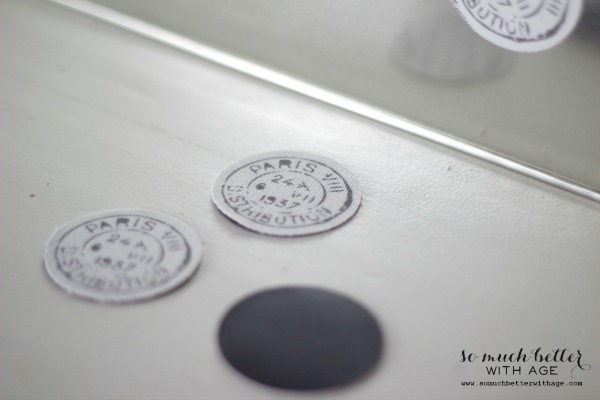 I picked these ballet shoes and this French stamp design. 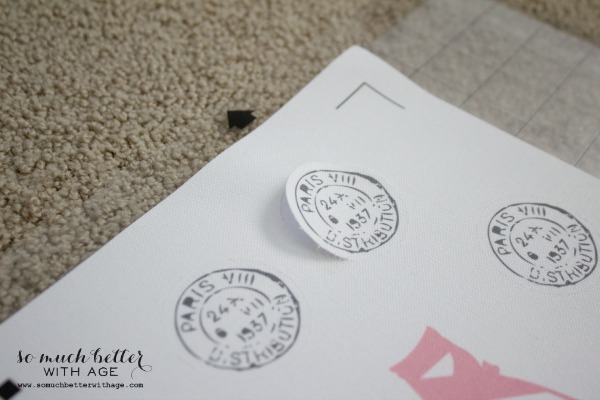 Print the images on the printable cotton canvas using a regular home color printer making sure to print the registration marks as well. 3. 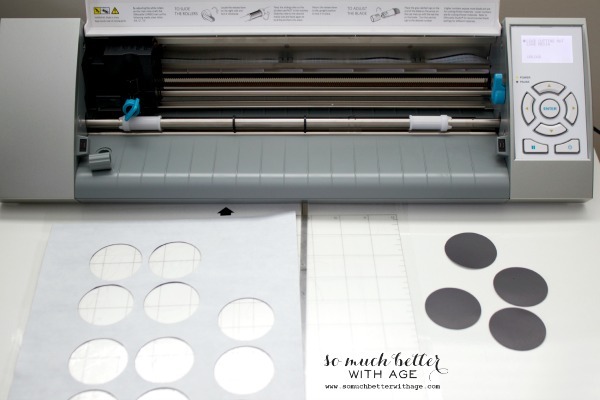 Next feed your printed cotton canvas sheet on the cutting mat into your Silhouette Cameo machine. 4. Following the instructions, I cut the circles at no.3 blade setting but I had to cut over it twice so I could probably use it at no.4. 5. 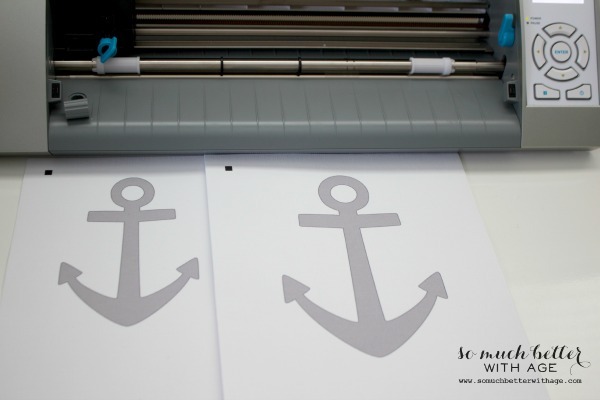 Then take your adhesive magnet paper and press cut with your same design. 6. I decided not to cut out the ballet slippers with the Silhouette so I just highlighted the ballet slippers image and click uncut. 7. The cotton canvas and magnet paper both have adhesive sides so it is doubly sticky 😉 Stick both together and you’re done the magnets! 8. 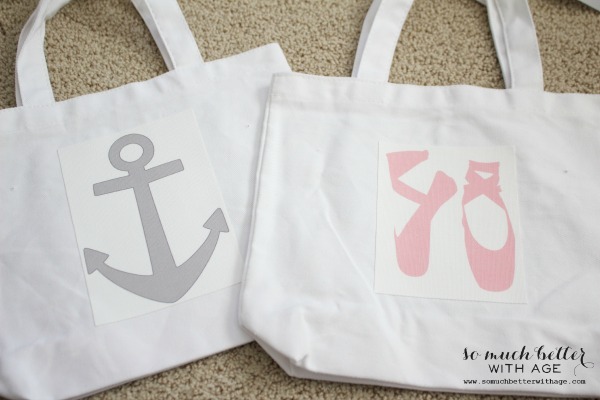 For the little canvas bags, I printed a grey anchor image in a few different sizes. I went with the smaller one. It’s about 4×6 inches. 9. 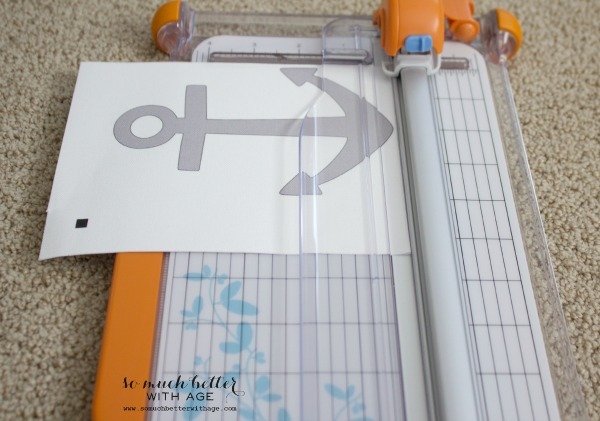 I just cut the anchor with a paper cutter but you could also use your Silhouette machine. 10. 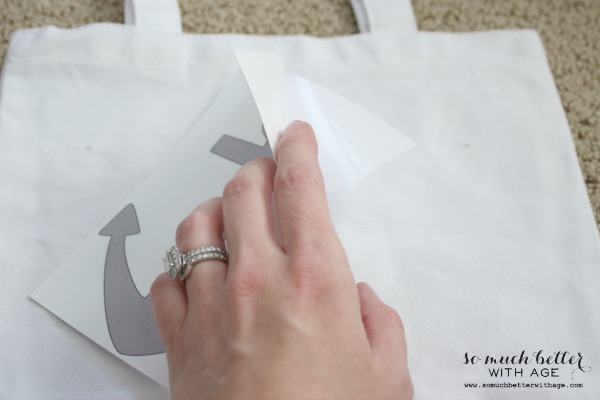 Peel the adhesive backing off and place in the image in the middle of your canvas bag. 11. They look adorable as is but I really wanted to ensure they would stay on the bag so I got out my sewing machine and just stitched the image to the bag. 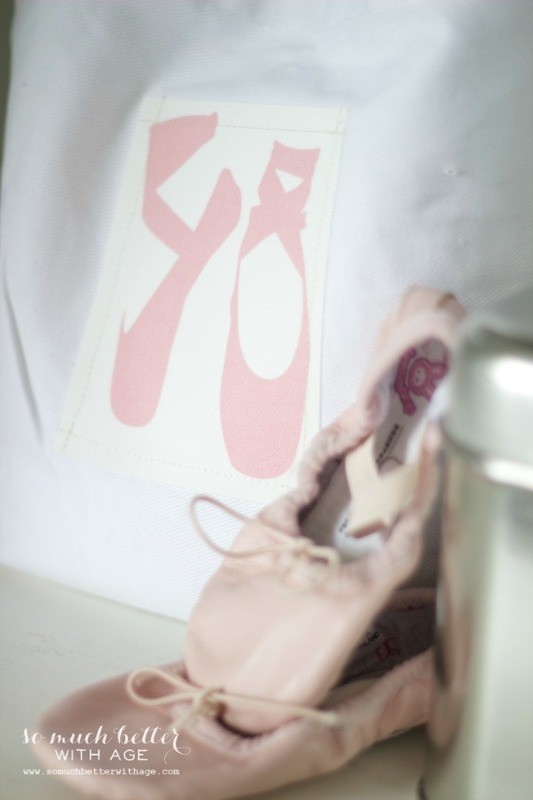 My daughter just started ballet and carries a little bag for her ballet slippers. She’s going to LOVE carrying this bag. 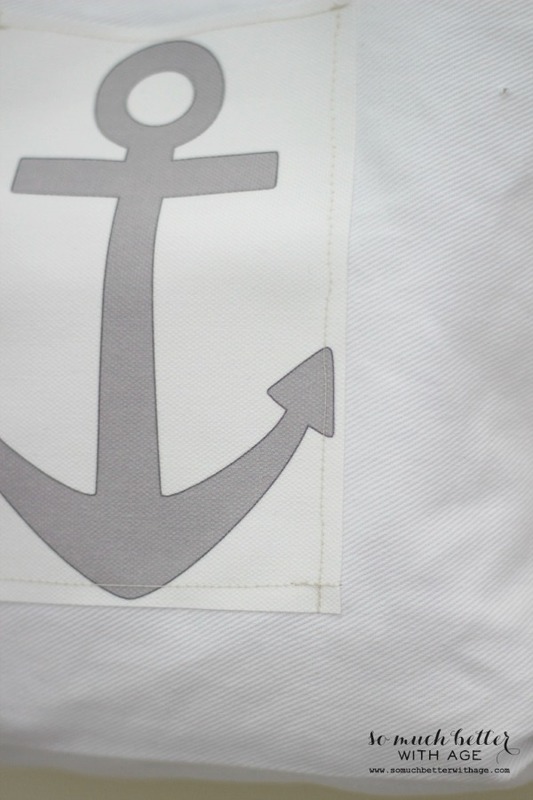 I love simple projects that turn out adorable, don’t you? 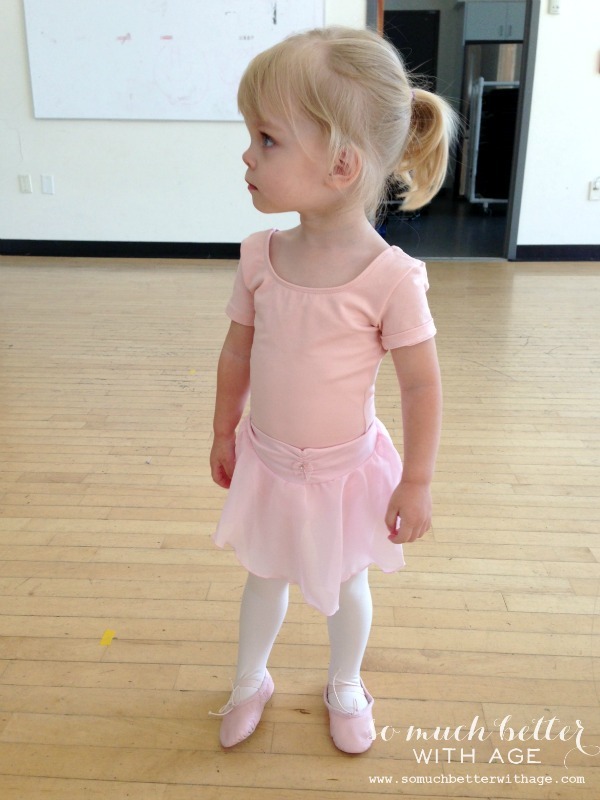 And my little ballerina is adorable too. *Affiliate links added. Please read my disclosure policy page. I love your ballet bag. And your tiny dancer. She is a doll. Thank you so much for this great giveaway! Those are awesome!! And your ballerina is just a little darling! 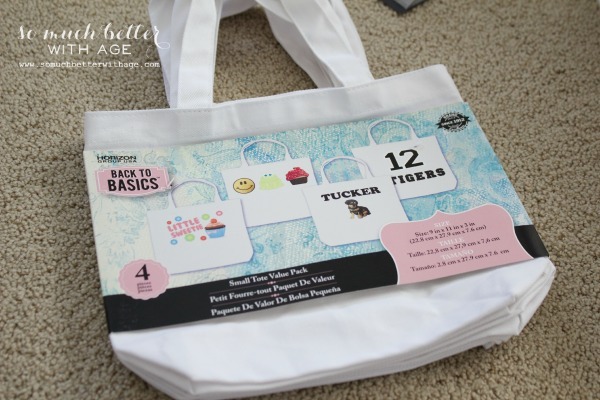 Love the sweet ballet bag 🙂 And so fun that you made a set of magnets! Cute idea! I LOVE these bags, Jamie! 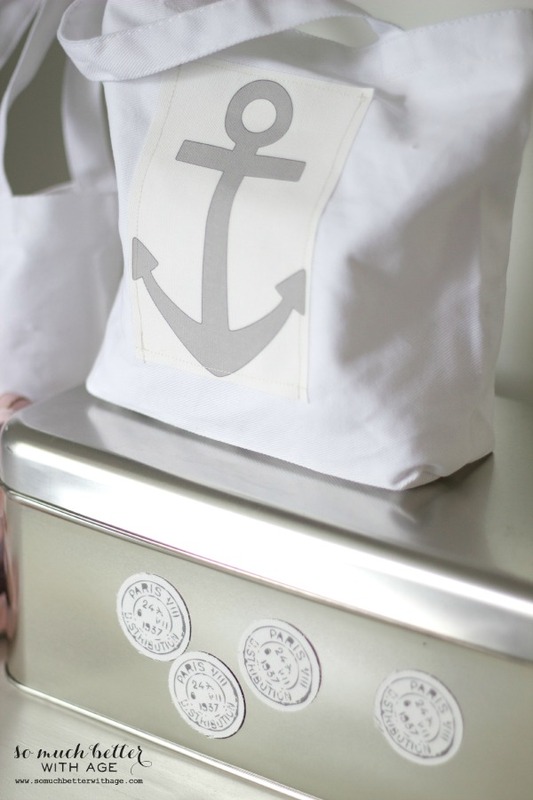 The anchor is darling, and I know a little girl in this house who would love a ballet shoe bag! Very cute and your little ballerina is precious. 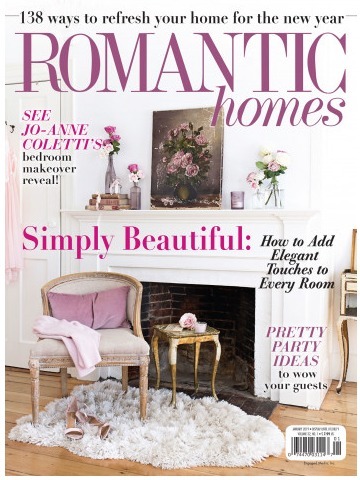 Great projects Jamie and you have inspired me to get out my Silhouette again. I haven’t tried cutting fabric yet! Hi, I have been wondering about this product for a while. I have printed on regular muslin fabric with the freezer paper trick, but I accidentaly splashed some coffee on it, and when I rinsed the coffee off, the picture came too. It looked like a horrible photo washed out by a harsh flash with years of sun bleach. Now that you have had these bags for a year, how did they fare? Does the ink really set and last on the silouette canvas? Yes they look good as new still. I haven’t washed them that much though. I’ll run them in the washer and dryer a few times and get back to you. I’ve been meaning to make more for the kids too.